What motivates families in 2016 to rethink their family dynamics? The quest for flexibility and freedom: freedom of choice and freedom of action. When we choose to throw ourselves into the adventure of homeschooling, an important question comes up: money. It is true that the rhythm of modern life frequently demands two salaries to make the two ends meet. How is it possible for nearly 2,000 families in Québec to reconcile homeschooling and financial obligations? They are working from home. 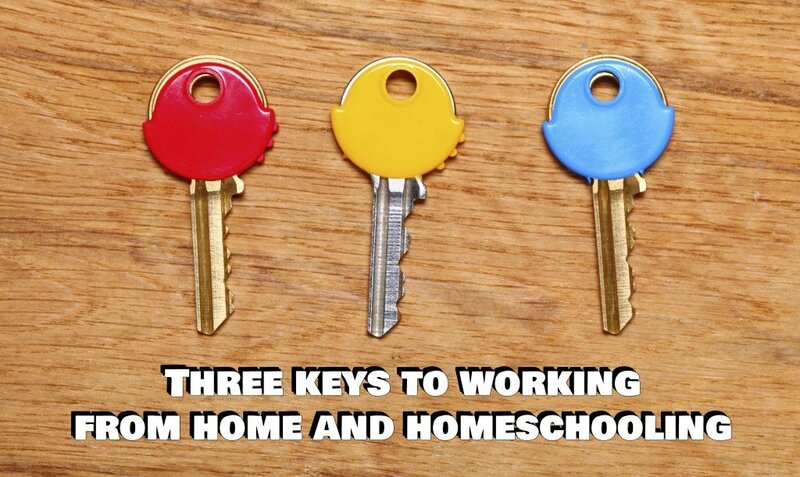 Whether it is working for yourself or telecommuting, it is totally realistic to reconcile homeschooling and work. I have been working for myself for the past 11 years in the linguistic domain while being a mom of three children, two of which are school age. This lifestyle came to me naturally. The first month of my work-school combination was total chaos. It was the disorganization stage, an essential stage in establishing priorities of each of the roles that I had to play. It is also normal to feel overwhelmed, but, rest assured, this feeling does not last. The key is organization. Since learning does not happen on a strict schedule of 9 to 5, it is easy to find more flexible moments to cover all the important tasks that must be accomplished in the day. You will find your rhythm, and that of your child. To succeed at reconciling work and school, I needed a dependable network. Whether because of unforeseen events and last minute traps, or simply because my workflow exceeded my expectations, I often asked those close to me for the possibility of a little of their time during my emergencies. A grandma, a homeschooling friend, or a close neighbour usually like being called upon. Moreover, it breaks the daily routine of the child — a little like a PD day! Don’t be afraid to ask for help from your entourage. Education happens also through sharing knowledge and resources. Homeschooling is still not commonplace. When we leave the beaten track, creativity reigns. More and more people who are looking for a job now create their own instead. This is the time to transform a passion into bread winning! From there, everything is possible. You become an entrepreneur and the only rules you have to follow are your own! It is then easier to consolidate work and homeschooling since, in both cases, you have very few restrictions. Furthermore, it is also a good learning opportunity for your children. Creating your own job requires research and ingenuity. Why not make it a family project? The idea is to ensure a good remuneration that will permit you to stay home and homeschool. But above all, have fun!